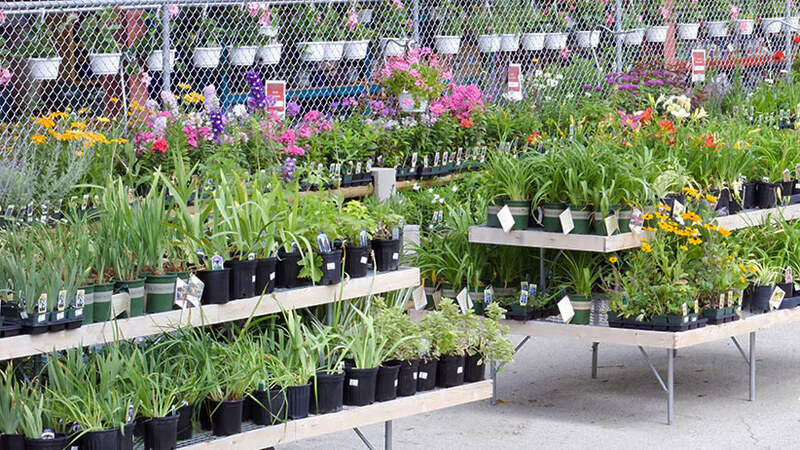 When you wander through rows and rows of perennial plants at the garden center, it pays to have some savvy perennial shopping tips in hand. How do you pick the very best ones to take home? 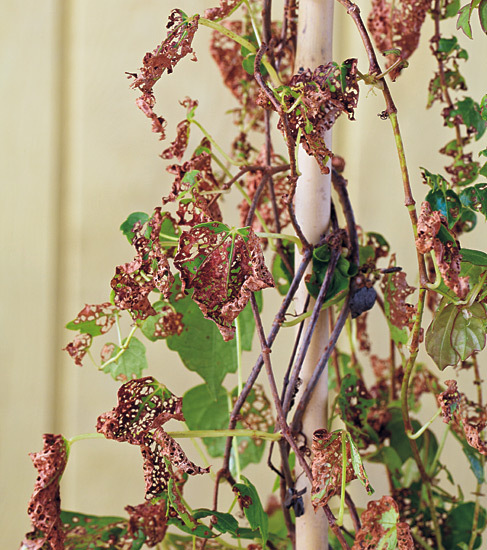 Sure, you know to carefully look for healthy foliage with no signs of disease, but how do you choose plant size? And which plant do you pick when some are blooming, some have buds and others only foliage? 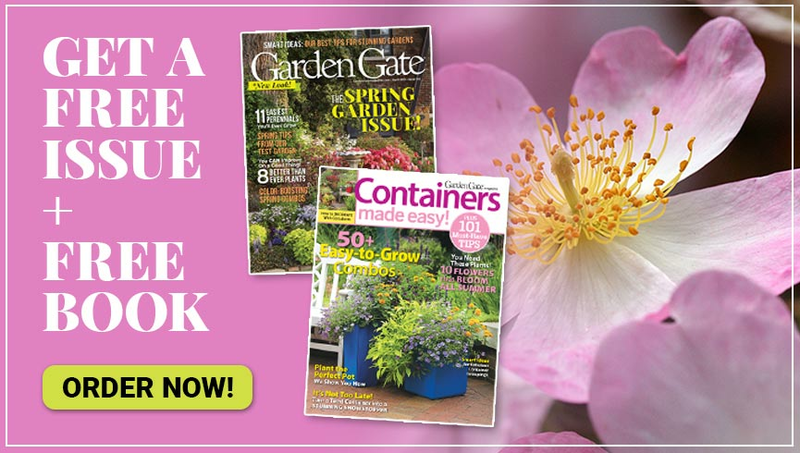 We’ve got the plant shopping tips to make any garden center trip easier, so you’ll always land the best perennial — and the best deal! 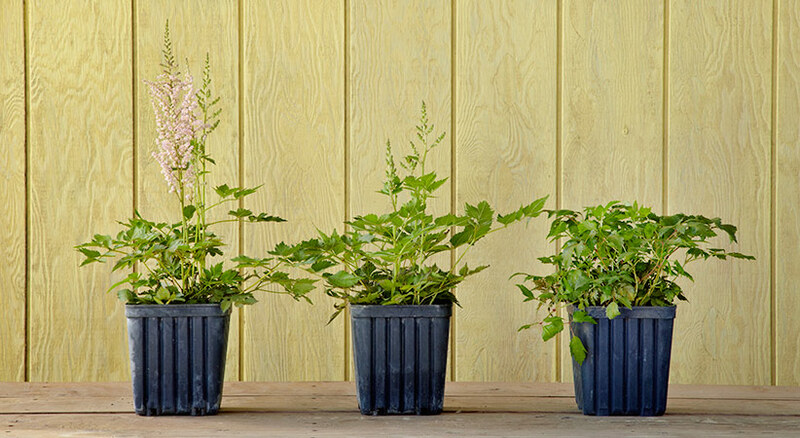 Come across plants like the astilbe (Astilbe hybrid) above and your first instinct may be to grab the one that’s in full bloom. It has no problem flowering and will add instant impact to the garden, right? Well, because it’s already bloomed, you may not see flowers for much longer because most perennials only bloom once each year. The astilbe in the middle has flower spires that are only starting to bud out. A plant like this is the best choice if you’re shopping at a new garden center for the first time. 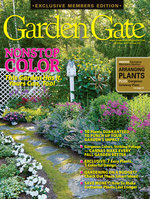 You can see just enough of the flower to be sure you’re getting the cultivar — and bloom color — you’ve bargained on. Not positive the perennial you want has the right tag? 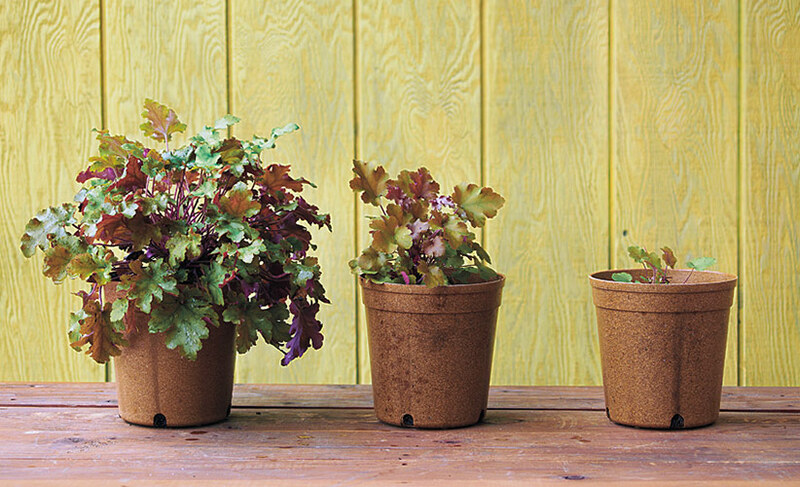 Buying a plant without any blooms or buds, like the one on the far right, makes it hard to know what you’re getting. But if you trust your source or can compare the foliage to another plant in bloom from the same rack, this one is the best buy. It probably hasn’t put energy into producing blooms — unless you see the flowers have already been cut off. You might find three plants like these coral bells (Heuchera hybrid) on the same rack and wonder if bigger is always better. The largest coral bells on the left is definitely the best value. 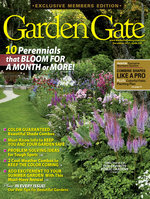 It has a lot of foliage to support, though, so you may have to give it special care as it transitions into your garden. The coral bells in the middle is only about a third of the size of the one to the left. It could root faster, with healthier looking foliage after being transplanted. But it might not grow much more this year — you won’t know until it’s home. If all three of these plants are the same price, though, never buy the smallest one. You’ll overpay. There are some perennials that you should always buy bigger because they’re so slow-growing, such as false indigo (Baptisia australis) and Russian sage (Perovskia atriplicifolia). Peonies (Paeonia spp. and hybrids) fall into this category, too, so buying the largest plant you can find, like the one in the photo above, means getting big impact sooner. 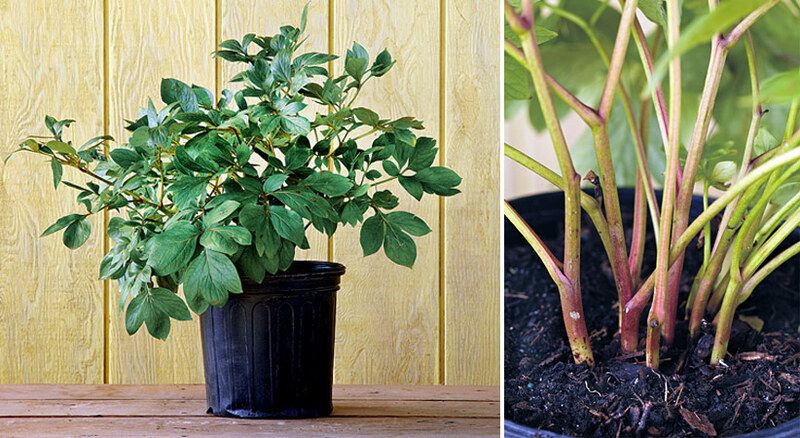 Peer into a peony’s crown and look for one with the most eyes or stems like those in the photo on the right. If you’re just looking for a great deal, pick a plant like this penstemon (Penstemon hybrid). A quick look at its crown, in the photo on the right, reveals several clear divisions, or plants with a main root — we counted six in all. 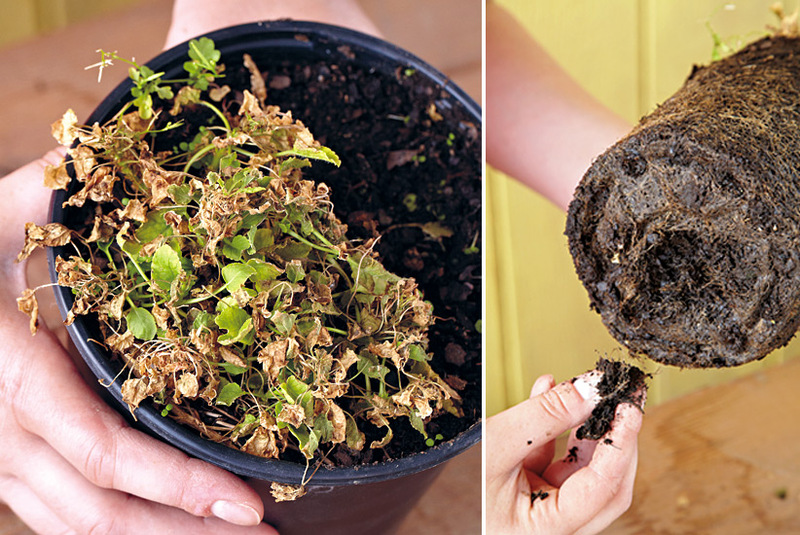 Whether it’s deeply discounted or you think you might be able to revive it, a damaged plant can sometimes be hard to pass up. Make sure you closely examine it before you decide to spend money. And it won’t hurt a plant to look at its roots. 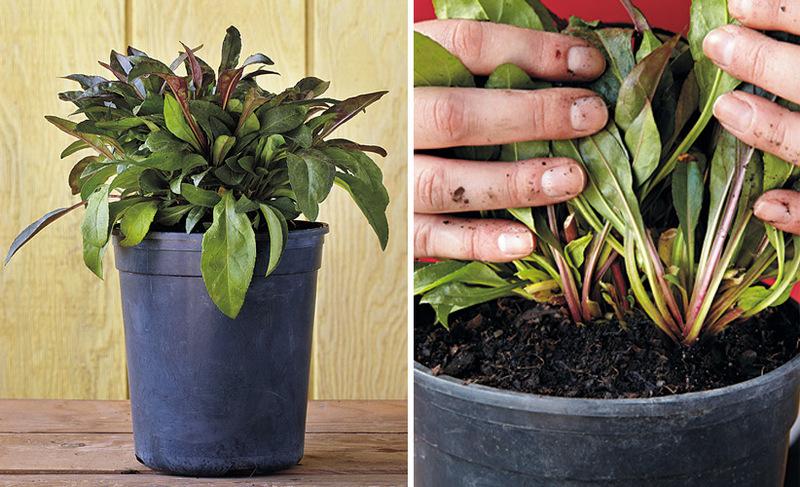 Just straddle stems with your fingers and gently tip the pot. 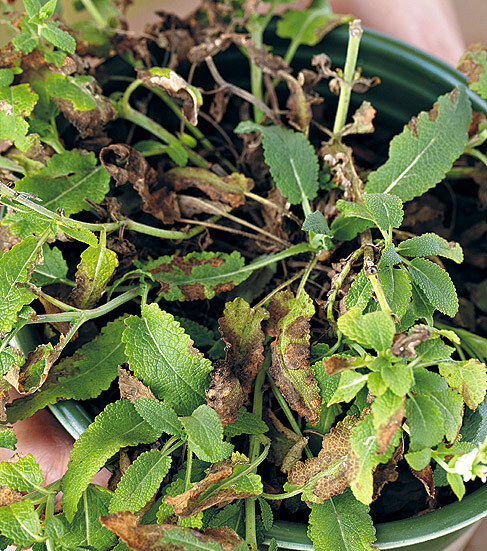 Check out our slideshow below for signs and symptoms on plants you should avoid. What should I do? 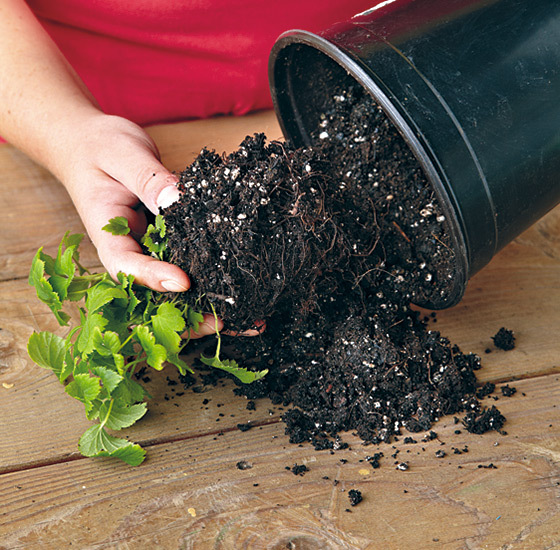 Never buy overwatered plants — rotted roots never recover.